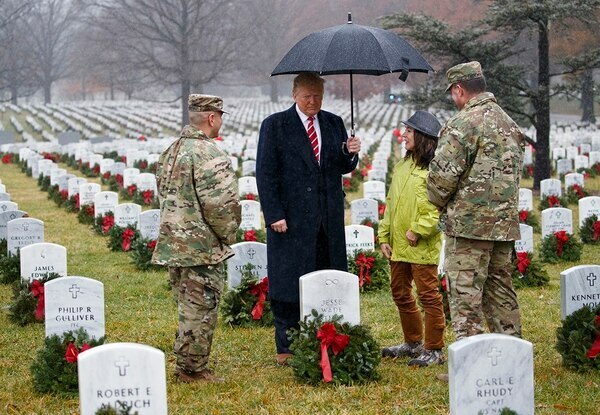 WASHINGTON — President Donald Trump made an unannounced visit to Arlington National Cemetery on Saturday for a holiday commemoration. 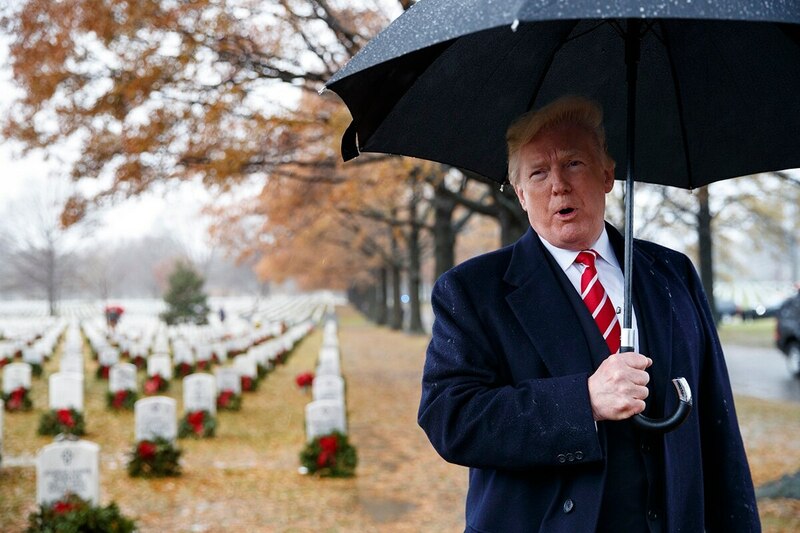 In a steady rain, Trump visited the cemetery during an annual event in which holiday wreaths are laid to honor the sacrifices made by veterans and their families. Trump said his travel schedule and official business stopped him from attending. And that, in turn, came after a visit to a World War I cemetery in France was scuttled due to poor weather. President Donald Trump visited with Marines and spoke at a White House veterans' conference Thursday amid fallout over his decision not to visit an American cemetery during his weekend trip to Paris to commemorate the end of World War I.